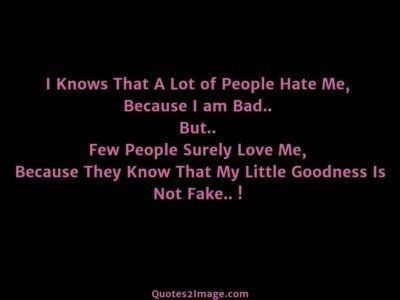 I Knows That A Lot of People Hate Me, Because I am Bad.. 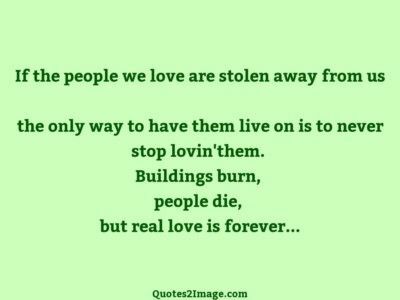 But.. Few People Surely Love Me, Because They Know That My Little Goodness Is Not Fake.. ! Why blame anyone in life, when: Good people give happiness; Bad people give experience; Worst people give a lesson; And best people give memories! It’s really strange: People pay to go up tall buildings and then put money in binoculars to look at things on the ground? 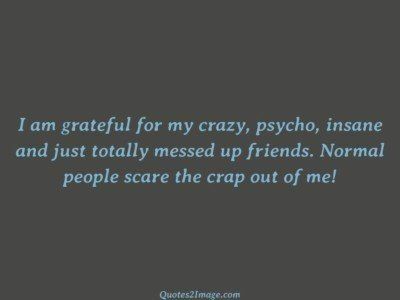 I am grateful for my crazy, psycho, insane and just totally messed up friends. Normal people scare the crap out of me! 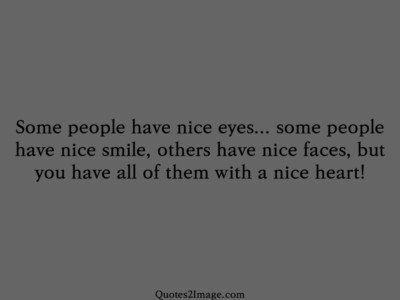 The world is full of nice people. 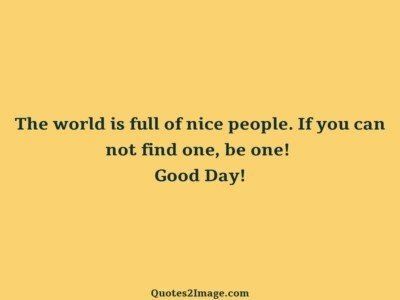 If you can not find one, be one! Good Day! 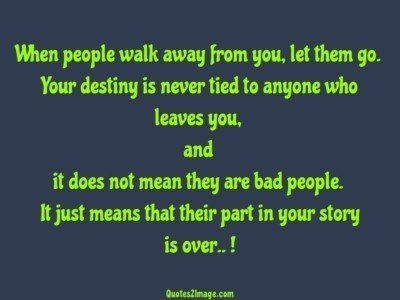 When people walk away from you, let them go. Your destiny is never tied to anyone who leaves you, and it does not mean they are bad people. 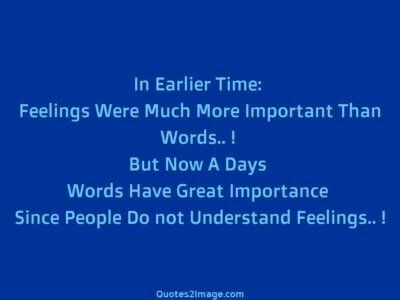 It just means that their part in your story is over.. !